Gas or electric? Why not both? Over 20 years ago, the world's first, mass-produced hybrid car hit the mainstream. Fast forward to today and nearly every automaker has a gas-electric offering in their range. With governments around the world clamping down on emissions, and the push to make cars as efficient as possible, the hybrid vehicle has gained quite the following in the West and in Japan. Even electric cars are becoming more popular over in those parts of the world. With the excise tax favoring 'alternative power vehicles', now is a good time to take a closer look at the hybrid car and understand the tech behind it. The simplest way to explain a hybrid is two different sources of power motivating a vehicle. In the case of cars, it's usually an electric motor with an internal combustion engine. Typically paired with a gas-powered engine, it was the formula used by the first-generation Toyota Prius and has been the foundation for many others since. Of course, one can pair the electric motors with a diesel engine, instead of a gas-powered unit. Examples of these include the Suzuki Ertiga Hybrid and the Audi Q7 e-Tron TDI. Of course, there are also different kinds of hybrids and it's not just classified by the engine being helped by the electric motors. There are three types of hybrid at the moment, namely mild, full, and plug-in. Each of these come with a varying amount of electric assist to the internal combustion engine. There are also different drivetrains: Parallel and Series. Before you get confused by it all, these systems and combinations commonly recharge the batteries via regenerative braking which uses friction (a form of energy) to top up the charge. As for plug-in hybrids, one can directly charge the batteries with a charger, and regenerative braking refills the charge when on the move. To keep it simple, a mild hybrid offers a little assistance when accelerating. This system springs into action more when the driver is coasting or braking, shutting off the engine and engaging the electric drive. It also engages when the vehicle is stopped. The main purpose of the mild hybrid is to power the vehicle's accessories when the engine is shut off. A full hybrid on the other hand CAN accelerate the car under full electric power. It also allows driving in electric mode under full power at low speeds. The electric motors are more active with these kinds of hybrids and therefore rely on more charge and equipment to keep the car moving without the use of the engine for as long as possible. From time to time, the engine will kick in to allow the batteries to recharge. As mentioned above, there are two key drivetrain layouts for these kinds of vehicles, namely Parallel and Series. Series hybrids sees the electric motor and the engine working independently from each other. Normally, a series hybrid relies more on the electric motors to drive the car while the gas engine is there simply to aid in the recharging of the batteries. One can think of it as a generator with fuel helping to keep the car fully charged the same way it provides power for the home. Should the battery run low on charge, that's when the engine powers the car until the electric motors are at an operating level. Parallel hybrids on the other hand make the electric motor and the engine work together. In essence, the electric system helps start up the car and offer a little assistance to the engine once on the move. This system can go as far as giving the gas engine a boost under hard acceleration. With the two working in conjunction, it won't give as much full-electric range like the series hybrid, but it is simpler to engineer it in existing platforms. There are some manufacturers that combine the elements of the two. Dubbed either as power-split or series parallel, the electric motors are powered by the engine (like a series hybrid) and connected via the transmission (like a parallel hybrid). Both the electric motors and engine work hand in hand to boost performance and extend range, depending on the situation. However, there is a little more reliance on the engine when compared to a pure series hybrid. Hope for hybrids in the country? With the new excise tax in place, it favors hybrids and we're starting to see lower prices on these types of vehicles. The government is encouraging the use of eco-friendly vehicles by levying half the tax compared to conventionally-powered vehicles. 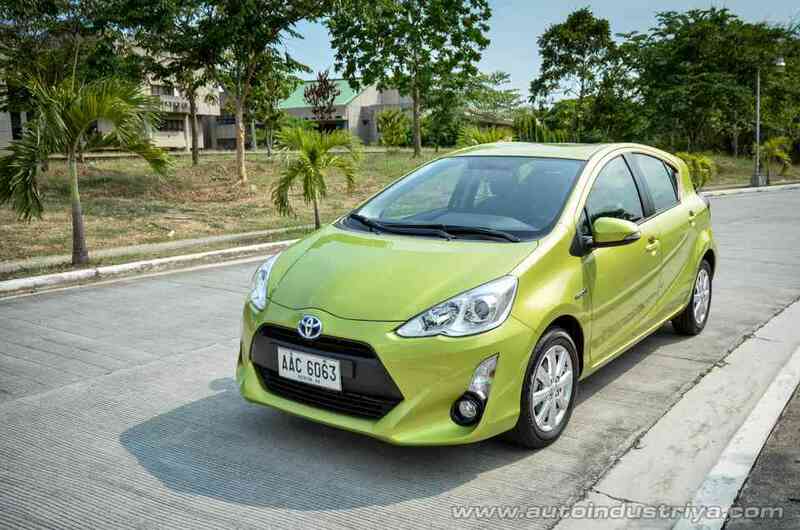 So far, we are seeing price deductions on hybrids, ranging from Php 100,000 to even over Php 1,000,000. Volvo Philippines has even announced that they will be bringing hybrids in their range this year. Mainstream Japanese marques such as Honda and Nissan offer a wide variety of hybrids abroad while, locally, Mitsubishi has been showcasing the Outlander PHEV. With the congestion in the country, it could be said that the hybrid might go from novelty to practical solution. One question does remain: Is the Philippines ready for an electric revolution? Only time will tell.